It’s easy. At your blog, by next Monday, Feb 10, list your choice of any twenty books you’ve left to read from your Classics Club list – in a separate post. A number will be randomly drawn on Monday and I will then know my fate, I hope to read my spin book during March. I have decided to do this again as it has been such fun in the past. I know some people have books on their spin lists that they are dreading reading, There are no books I am dreading on my classic club list though there are a few I keep putting off. Therefore there aren’t any books on my spin list that I am really scared to read – life is too short to list books I’m not sure I want to read, there are one or two I am nervous about. Despite haing read Henry James before – I have been putting off re-reading him for years, and I feel a bit nervous about Mikhail Bulgakov and Slyvia Townsend Warner for different reasons. There are lots of books I would cheer to have selected though – fingers crossed for one of those – and some, that I no longer remember why I added them to my classic club list in the first place. Looking forward to finding out my fate. Today is my Classics club anniversary; it was one year ago exactly that I joined the classic club, and created the Classic club page on my blog. This page is under constant revision – which is exactly what I thought would happen. 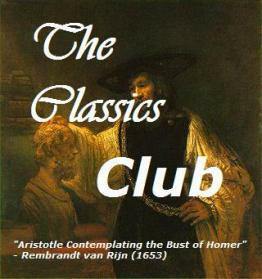 When I joined the Classics Club I already knew I loved reading classics, and have done for a long, long time. When I was in my late teens and early twenties I read a lot of nineteenth century classics – and a few eighteenth century classics (I suppose those are the ones I like least) moving on to the twentieth century classics later. 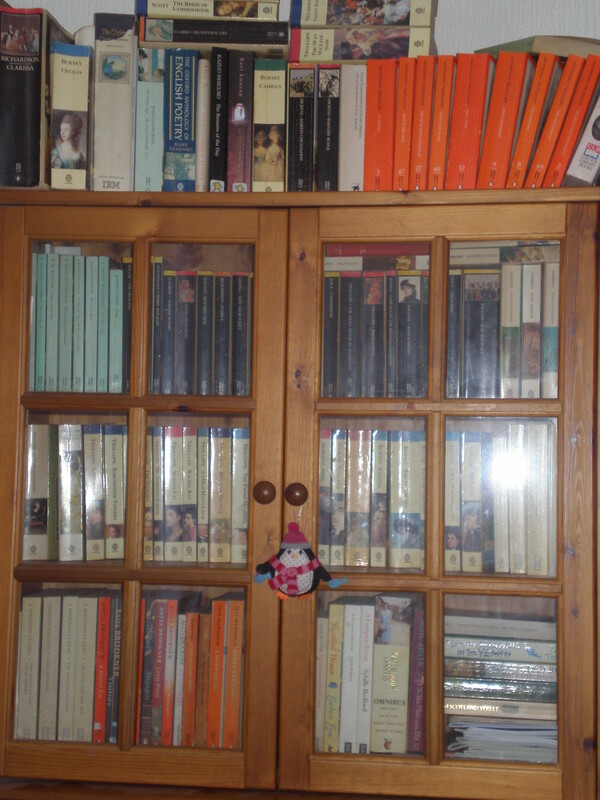 It was in those days I discovered my great love of Thomas Hardy – many of my favourites are not on my cc list because I re-read them fairly recently and before I joined. These days – twenty years after my love of classics began – I find I am re-reading a lot of things I read in my twenties – with greater enjoyment, and with a different perspective. A year ago – there were 130 books on my Classic Club list – today the list stands at 170! 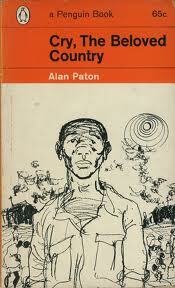 Of those I have read 60 in the last year – and I’m currently reading another. I adore the Classic Club – I love joining in with the monthly meme (and I generally hate memes), the classic club spin has been great fun, and I joined in one of the sync reads too. I have discovered other great blogs – while navigating through the reviews on the Classic Club blog – it is so wonderful to find so many other people who love classics. The Glimpses of the Moon by Edith Wharton – which promised so much but was really just a little too frothy. Perversely had it not been written by Edith Wharton I would have probably liked it as a bit of vintage froth. So here’s to another year on the Classic Club – I don’t pretend there won’t be more added to the list in the next year – there will be, but there will also be a lot of wonderful books read and blogged about. Thank you Classic Club for awakening an old obsession. Do you read forewords/notes that precede many classics? Does it help you or hurt you in your enjoyment/understanding of the work? I sometimes read introductions/forwards but only ever after I have read the book. To be honest I am not always that keen on them. So many great works of literature have very long and wordy academic introductions; sometimes I think these introductions can be far more intimidating to read than the works themselves. Then there is the issue of spoilers with a minute picking apart of the story and the author’s intentions. That is why I (and most people I have spoken to about it) only read these introductions and forwards after I have finished the book. I generally like to make up my own mind about things that I read, and so I’m not sure I always like to have my response to a novel suggested to me by another person, although I do find other opinions interesting and valuable – the trouble with these quite academic sounding introductions is that it can make the reader feel that their different response is wrong. I have often assumed that these introductions/notes are for people studying that work – and not so much for the reader who is reading for pleasure – that may be my mistake. However I don’t ignore these introductions completely. I have really just finished my re-read of Emma – a Penguin cloth bound classic – the one thing about Penguin is that they do always contain proper Introductions and explanatory notes. I do like the fact that the notes and introductions are there – but if I am honest I don’t do much more than skim the introduction – after I have read the book of course. The Introduction to Emma was quite long and while I was interested enough to start reading it – I found after three or four pages my attention began to wander – l start to feel like an inattentive student at the back of the classroom. Explanatory notes however can be very useful – and the ones supplied in Penguin Classics have saved me from confusion on more than a few occasions. I couldn’t have possibly have read Villette without those notes as Charlotte Bronte included so much French conversation – and my French is fairly non-existent. 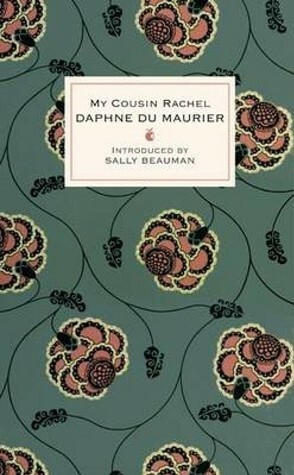 What I do really like however – are the introductions that I often find in Virago Modern Classics. I can remember enjoying the Introductions in the Elizabeth Taylor novels I read last year. I am much more inclined towards an introduction or preface if it has been written by someone (another author) I have heard of – rather than some academic I haven’t. Some of the original green Virago Modern Classics that were issued in the 1980’s have some wonderful introductions (not always by people I had heard of though). However I’m not sure that introductions to the modern VMC’s coming out now are of quite the same high quality – although I do always read them, because if nothing else they give some good background information about the author. I have recently read Breakfast with the Nikolides by Rumer Godden, one of a lovely new series of Modern VMC’s that have introductions by Rosie Thomas, however the introduction is one that was written for the trio of novels, Breakfast with the Nikolides, Black Narcissus and Kingfishers Catch fire which just gives a brief introduction to Rumer Godden and her career and rather than an in depth examination of the book, there is just a brief discussion of each novel. I’m puzzled by this, I don’t know whether the other Godden’s in the series have different introductions by Rosie Thomas or by other people. These kind of introductions are probably a little more accessible but I don’t know if they add very much. Also I have often really enjoyed the introductions/prefaces in Persephone books. I particularly remember enjoying the Preface to The New House by Jilly Cooper – who is related by Marriage to Lettice Cooper and provided a fantastic insight into the author’s wonderful literary family and her work. Manja by Anna Gmeyner has a preface by Eva Ibbotson, the author’s daughter who is able to really set the novel in context by briefly telling her mother’s story and how she came to write the novel. Oh dear – I really hadn’t meant to go wittering on for quite so long. When I sat down to write my response to the Classic Club question I thought I would be answering it in just one short paragraph. So now I’m wondering – how do you read Introductions and notes or don’t you? The Classics Club has made me think again. This is the question for classic clubbers in July – a brilliant question I think. That is a pretty difficult question isn’t it. My immediate reaction to that question was none – my political, religious and social views having been shaped in the main by my own experiences and upbringing. However, that can’t be completely true can it? After all literature is powerful stuff – and if, as I have, you have always read voraciously, then surely some bits must have stuck. I am reminded how as a child I loved Carrie’s War by Nina Bawden – a wonderful children’s story set during World War Two – I am sure that children’s novel is responsible for the strong nostalgia and fascination I have for stories set during WW2 – I was born in 1968 long after it was all over. When I look back over my early reading of Classic literature – I often wonder what I gained from such work, I wasn’t a gifted student – quite the reverse – all the reading I did was purely for pleasure. I first read such works as Jane Eyre, Great Expectations and To Kill a Mockingbird at a very tender and impressionable age. I wonder how much of my hatred of injustices and prejudice were aided by my reading of To Kill a Mockingbird? 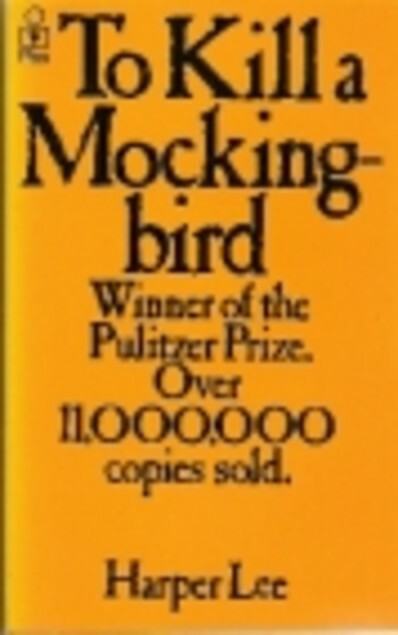 To Kill a Mockingbird has much to say to a young reader, about bravery and doing the right thing, it is a novel that has stayed with me ever since – I am massively over-due a re-read of it. 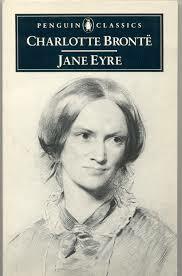 Similarly did my early reading of Jane Eyre – which I now recognise as a wonderfully political and feminist work – subtly speak to me of things I was hardly aware of? I think it may have done. Jane has always been one of my favourite female characters in literature – she is tough little thing in world that is not made for penniless orphans or women, and certainly not for female penniless orphans. Jane refuses to be cowed, she sticks by her morals, but refuses to simply be what society says she should. When I was about eighteen I discovered and fell in love with Thomas Hardy – much of Hardy’s work eulogises a changing England – juxtaposing the encroaching modern world with a traditional rural way of life – its social inequalities and pastoral idyll. 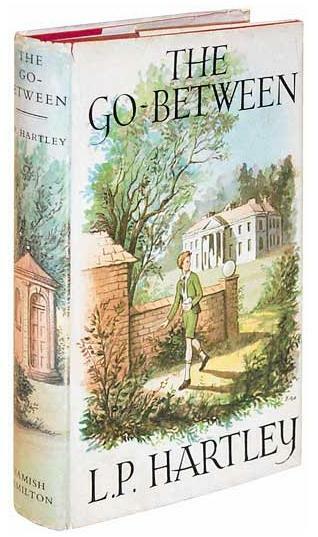 I love many things about this modern 21st century world that we live in, but there is much of it I hate and that worries me – every generation has felt the same I am sure – so whether Hardy’s writing has influenced that in me – or whether I just recognise the sentiment as being one I understand I’m not sure. Hardy’s descriptions of the English countryside have certainly helped me appreciate the natural world – an appreciation that has only fully come to me in the last few years. Landscapes change over time of course – but essentially Hardy’s England can still be found – in pockets, if you look carefully – and that idea comforts me as I contemplate the very unlovely city streets where I live. It is in particular Far From the Madding Crowd, Under the Greenwood Tree, The Return of the Native, The Woodlanders and to some extent Tess of the D’Urbervilles that I feel best capture these things I have been talking about. They are novels I believe I will continue to re-read for the rest of my life. 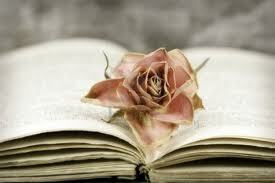 So I believe I have been influenced by literature – how could I not have been? I know I carry the books I have mentioned (and many I haven’t) with me all the time. What is your favourite opening sentence from a classic novel (and why)? Well I have been thinking about that question ever since – and here we are well into July now. I found I couldn’t answer the question, I didn’t have one favourite – I immediately had the opening lines of several books buzzing around my head, as they have continued to do ever since the question was posed. I quickly realised that my favourite openings – are often comprised of more than one sentence. However the openings I like best (and here I have cheated these openings contain more than one sentence) are the ones which give me as a reader a strong sense of time and place. 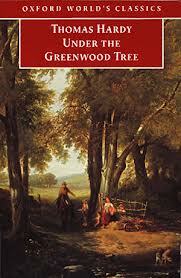 Thomas Hardy’s Under the Greenwood Tree (1872) I love Hardy and the opening chapter to Under the Greenwood Tree I find hugely evocative, here are the opening two sentences. Again the opening two sentences are beautifully rendered in their simple lyricism. But possibly my all-time favourite is from A Wreath of Roses by Elizabeth Taylor (1949) – these sentences absolutely capture the mood of the novel beautifully. Maybe it’s just me – and my passion for Elizabeth Taylor’s writing but those lines transport me absolutely to a small country town station on a hot summer day in 1949. That is what I want from an opening to be transported to place well away from wherever I happen to be. Well my answer to June’s classic club question has gone on rather longer than I imagined it would when I sat down to write – so I think I will save my answer to July’s classic club question for another day. Sorry classic clubbers that I have been so late in answering – I do love the way the classic club make me think though. I have been reading the comments on the Classic Club and see there are many different favourites out there – although I saw Pride and Prejudice and Rebecca mentioned by others – so what would your favourite be? The classic spin has spoken – and the number is 6. That means I will be reading one of the five Persephone books on my latest spin list. Phew! The spin has been kind to me again – I was beginning to get nervous – one or two title on the list I might have struggled with. 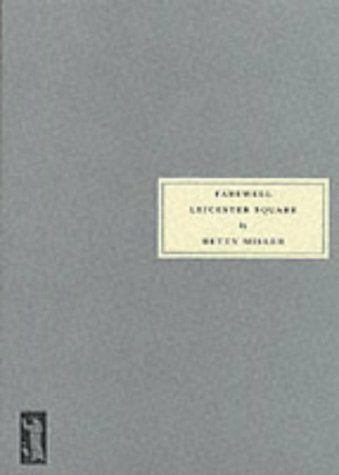 Farewell Leicester Square – by Betty Miller – first published in 1941 – having first been turned down for publication in 1935 when Miller wrote it. Betty Miller was the author of seven novels and a biography of Robert Browning. She was part of a London literary circle which included Stevie Smith, Olivia Manning and Marghanita Laski. I am looking forward to this book – I have heard really good things about it. Tell us about the classic book(s) you’re reading this month. You can post about what you’re looking forward to reading in May, or post thoughts-in-progress on your current read(s). For this month of reading I have got a little reading project of my own. My birthday reading challenge – it’s my birthday on the 13th of this month and so I will be reading authors only born in May. I have some lovely books selected to read – more than I will be able to manage in fact. Luckily though there are some from my classics club list. Jamaica Inn will be a re-read for me, I read it such a long time ago, but I remember it with real fondness. I am hoping to be reading that on my actual birthday. 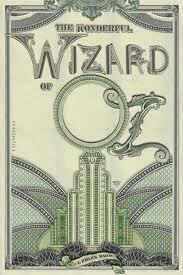 The Wonderful Wizaard of Oz – by L Frank Baum (15th May) a children’s classic I have never read – I anticipate an easy quick and undemanding little read. I will be reading this one on my kindle – though I don’t think I will then be reading the whole enormous series – there are after all rather a lot of them. 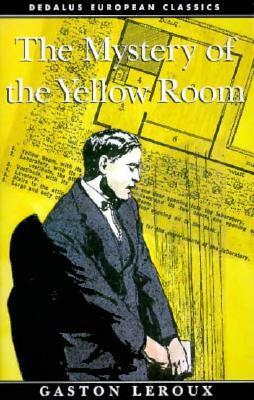 In fact I am intending to start on the first of these – The Mystery of the Yellow Room later tonight. 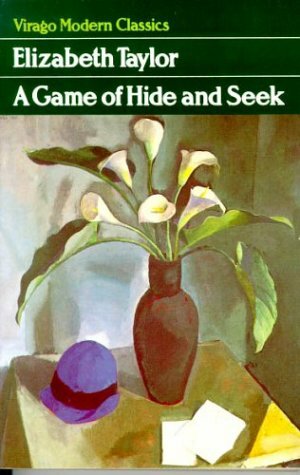 Written by the man best known for writing The Phantom of the Opera – it is said to be the best of all “locked room” novels. I’m looking forward to it.